Just about ever video game franchise focuses on the adventures and trials of one or a few major characters within their respective universes. Link, Zelda and Ganondorf are the three individuals when applying this formula to The Legend of Zelda. These characters are the center of nearly all of the games in the series, with their roles differing slightly each time they appear. However, while we control Link, we encounter various side-characters that offer us help along our journeys in the land of Hyrule. They provide insight into the events of the game, weapons and items or even simply a good laugh or a touching story. 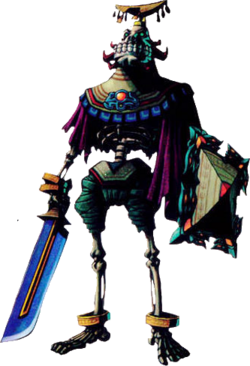 While occasionally taken for granted, these side-characters surely are one of the strongest pillars of the entire Zelda franchise. Link often begins his journeys with little knowledge of what is happening in the world around him. Hence, it is vital for him to converse with townsfolk in order to understand the circumstances he is facing. Take Ocarina of Time for example. Link had never left the forest until the Great Deku Tree sent him out on his heroic quest. He had no idea what the outside world was like, nor did the player in their first play through of the game. After Link traveled to Castle Town, he was able to interact with various non-playable charaters in order to learn about the land of Hyrule and the Royal Family. This method of conversation with other characters is vital in the Zelda series, helping us learn of secret areas and items as well as hints for progressing through the game. However, what makes the side-characters in the Zelda franchise more significant and memorable are the unique emotions that they exhibit and the effect they leave on the player. The task of venturing into dangerous, unknown lands and ultimately saving your country from an evil wizard can be quite a daunting task. That is why Link often finds himself allied with a companion who aids him on his quests. 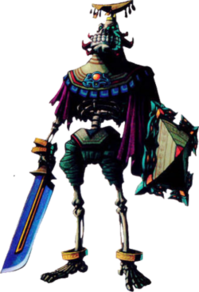 Navi, Tatl, The King of Red Lions, Linebeck, and Midna were Link’s guardians in their respective games, and they each exhibited their own unique personalities. 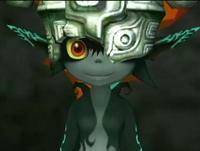 Navi was kind, yet annoying; Tatl stuck up and selfish; The King both knowledgeable and a father figure; Linebeck adventurous, dim-witted, hilarious; and Midna cocky, mysterious, and flirty. These traits were essential to the development of these characters and their effect on the player as they remained with Link for the majority of the game. 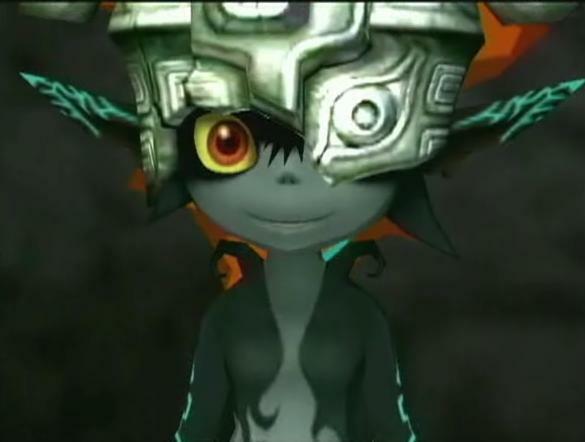 We could connect strongly our companions and appreciate their roles in the games as their stories progressed, most notably with Midna and Tatl who undergo drastic changes and character development throughout their respective games. As far as character depth goes, Majora’s Mask is perhaps one of the greatest games to feature intriguing and memorable side characters. The Bombers Notebook allowed the player to keep track of the various unique characters in Termina and perform side quests involving those characters and their short stories as the events of the story unfold. Some notable characters include the courageous Mikau, the troubled spirit of Darmani, The Mummy Man and his daughter Pamela, the wise Igos Du Ikana and the rivalry between the Gorman Brothers and Romani and Crema. However, it was the story of Kafei, Anju and Sakon that highlights the expert use of side-characters in the game. The compelling love story between Kafei and Anju, Kafei’s curse and the couple’s determination to be together even as the world is about to end is truly one of the most emotional stories told in the Zelda series. The lessons conveyed by the side characters from Majora’s Mask and other Zelda games as well as the emotions they provoked are unforgettable, marking the importance of side-characters in the Zelda series and the influence they have on the player. Without the inclusions of such characters, a game’s story is not as immersive, its poignancy not as strong. No other series has such a vast array of unique personalities and traits, and we can only hope that Nintendo continues to capitalize on the emotion and strength that they provide for the series in Zelda Wii and beyond.